Camping is probably one of the most relaxing outdoor activities you can enjoy alongside your favorite friends and family members. Apart from bonding with nature, you’ll also have the possibility of ditching away technology and your problems and try to live as simple as possible, at least for one weekend. However, in order to make sure your experience is a positive one, you’ll also require the help of some awesome camping gadgets to keep you safe and comfortable throughout your trip. This tent is made of reinforced polyester and can be easily set up in about 10-15 minutes. It is perfect for families or friends as it can comfortably accommodate four adults. The spacious interior allows for moving and standing comfortably. The product benefits from the WeatherTec system of patented welded floors that will keep you dry and warm even when it’s raining or cold outside. In addition, the tent comes with large windows and a ground vent for improved ventilation, making it suitable for year-round trips. You can purchase the tent alone or with two sleeping bags or a bad weather sealer. This product is available in a wide array of colors so you can pick the one best matching your personality or the rest of your camping gear. The portable chair is perfect for all outdoor activities, including camping, tailgating or fishing. You can even use it to watch your favorite sports events. It is made of durable polyester and a breathable mesh on the seat back for proper ventilation. Thus, you can comfortably sit on the chair even during hot summer days as you won’t sweat. This chair also includes 2 cup holders to keep your favorite beverages next to you, as well as an organizer with zipper and mesh pockets for storing all your other essentials safely. Looking for some new camping tools to keep you warm at night? This sleeping bag is available in two colors and will make a great addition to your future camping trips. The product was specifically developed for extreme weather conditions so it will keep you warm even at only 20 degrees Fahrenheit. Although we don’t recommend it for winter expeditions, this sleeping bag is very useful almost all year-round, even in late fall. The waterproof and weather-resistant design is definitely a plus, but consider it also a great item to use during summer days as well. The item is lightweight, designed to last, and friendly with your skin as it will provide proper ventilation and diminish the risk of allergies and skin rashes. Camping is always difficult if you cannot count on a reliable source of freshwater. This filter straw will help you remove dirt and contaminants from mud puddles, creeks, ponds, rivers, and lakes, providing you with a source of potable water anywhere you are. It eliminates up to 99.9999% of bacteria and parasites. The product can be put directly in any standard 28mm water bottle. In addition, this water purifier is extremely lightweight and easy to carry as it weighs less than 0.5 pounds. And, in order to enjoy the best camping experience, the item also comes with a carabiner, a bear whistle, a compass, and a signaling mirror. No camping experience can be complete unless you cook your own meals on the bonfire but, for this, you’ll need a set of good pots and pans. This Stansport deluxe set consists of 4 pots of different sizes, a frying pan, and a universal lid and handle. The detachable cool handle can be used on all pots included in the set for more convenient handling and storage. All items are made of top-quality stainless steel with reinforced bottoms to promote an even heat distribution so you can cook your meals on all parts equally. 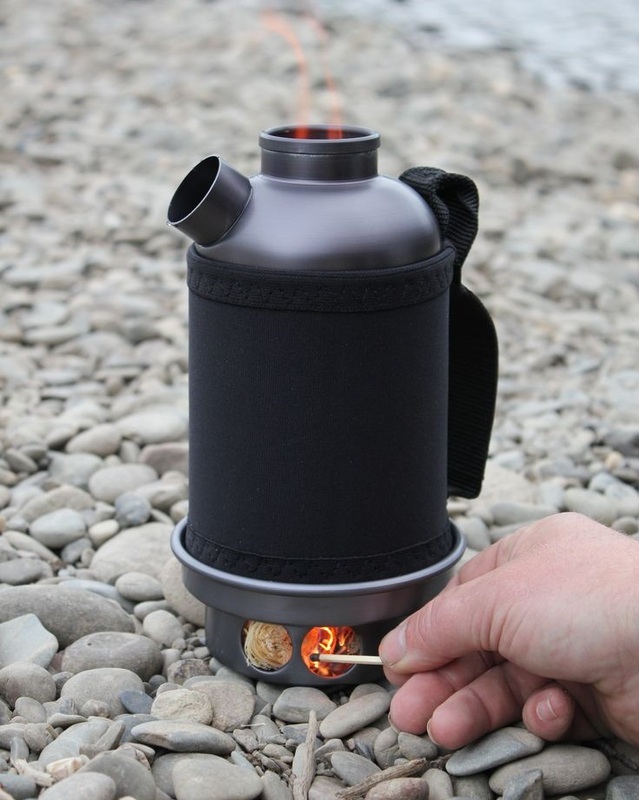 The pots are safe to use and easy to clean and will become your best friends during camping trips. This item is perfect for camping, hiking or carrying it with you all day long. This Swiss Army knife features a one-handed serrated locking blade. The knife is made of rust-free aluminum and all blades are made of stainless steel to promote stability and durability. This trekker also includes three different screwdrivers, a bottle or can opener, a wire stripper, a wood saw, and others. Thus, it is the perfect tool for daily situations and camping trips. Moreover, it is lightweight and easily folds in one piece so you can carry it with you in your pocket, bag or backpack. This strong and durable hammock is made of resistant nylon and represents the perfect accessory to carry and deposit your things when fishing, hiking or camping. It measures about 60 inches and, even though it can hold around 180 pounds or more, it is too small to act as a hammock for people. It is great for children or teens or simply holding your belongings while out in the wild. If you want to tie it to trees, you’ll require some additional rope. They are also great for boats or SUVs and, with the help of some carabiners and straps, you can put it anywhere you want. Thanks to this complete 200-piece first aid kit, you’ll stay safe anywhere you are. The kit is perfect for traveling, camping, schools, offices or even your home and it contains everything you need in case of minor injuries. The product is compact, light, and portable, so you can even keep it in the trunk of your car. The kit is reviewed each year and the 2019 edition contains some additional items such as an emergency compass, a whistle, and a comprehensive booklet. Inside you’ll also find cotton balls, fingertip bandages, medium and mini finger bandages, antiseptic cleaning wipes, a CPR face mask, a sewing kit, sterile gauze pads, metal tweezers, safety pins, cotton tips, and others. This set is compact and portable so you can carry it with you anywhere. It is perfect for keeping you safe while camping or hiking. It is more of a survival kit and contains plenty of outdoor items you’ll definitely require, including an emergency whistle, a firestarter, a flashlight, and a knife in a protective belt pouch, an emergency blanket, a cable saw, or a multi-purpose tool card. All items are of high-quality and meet all safety standards. Combined, the items inside this survival kit offer over 1000 uses, so they will reduce the fear and anxiety of not being prepared for risky and dangerous situations. This set of two emergency paracord bracelets is available in plenty of wrist sizes and colors, so the first step is to pick the right colors for you. The bracelet is compact and is packed with all features you need in order to survive in the wild. It represents the perfect choice for hiking, hunting, fishing, trekking or camping. It features a flint fire starter, a long-distance whistle, a scraper that can be easily turned into a knife, and a compass. The product is compact and portable and will represent your number one multipurpose survival tool in the wild. You can wear it on your wrist or put it in your backpack. Whether you’re leaving town for just a weekend or you’re planning on going on a longer trip, being correctly equipped is essential if you want to ensure the success of you short vacation. Recently, a lot of brands have dedicated entire collections to camping gear, all to help you have a more enjoyable time whenever you choose to spend some days away from the city. However, the days before leaving can become a little overwhelming, especially if you’re looking to buy most of the items you will be needing. Packing can be stressful and take a lot of time as it is, add shopping to that and every chance you had to enjoy your weekend away is gone. Picking out the camping gear that best suits you and your family can be quite a challenge. Do not worry, however. If you don’t have the time or the patience to do your research, we have done it for you. We have evaluated the best camping gear reviews and put together all the necessary information to help you make an informed purchase. 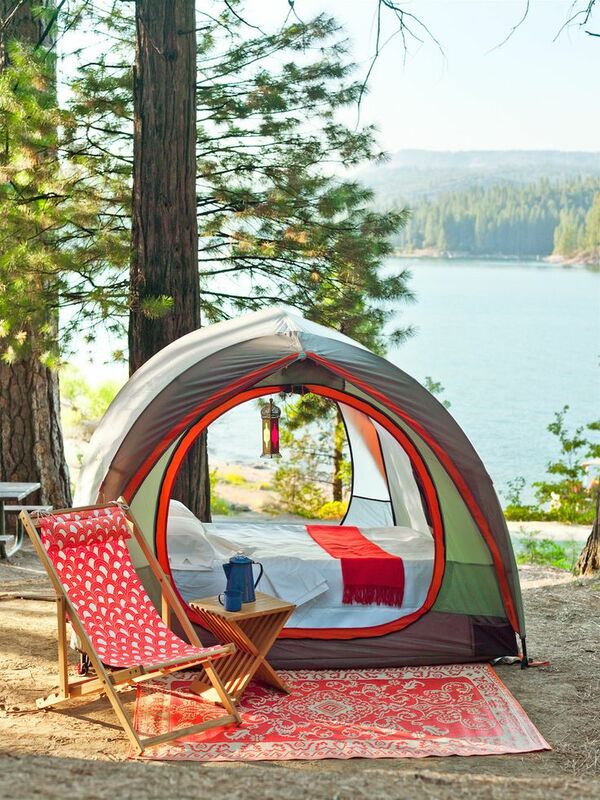 All you need to do is follow our rules to pick out the best gear for camping and enjoy your carefree vacation! If you want to be efficient when shopping for camping gear, divide your items into categories. Whether you’re shopping online or hitting the mall, this will help you move a lot faster. It’s important to know your priorities. Whenever leaving town and going away to spend some days in the middle of nature, the first thing you should worry about is your family’s safety. Always remember to bring communication gadgets that are likely to resist in harsh circumstances. You should take care of each aspect of your expedition if you want to enjoy yourself and have a good time. Whether you go by a personal car or by a public means of transport, you will probably have to sleep in a tent. Of course having your car helps, as you can recharge your gadgets and have access to the radio, but you have to be able to manage in any situation. Choosing the type of tent is one of the most important decisions you have to make. If you’re in a larger group of people, it’s always better to have more tents for a smaller number of individuals, as they are easier to carry and generally provide more space than one extremely big tent. Sleeping bags, mattresses, pillows, and everything that will help you assemble your temporary bedroom is of course of paramount importance, as you wouldn’t be able to enjoy yourself if you can’t get a good, resting sleep. Choosing your items depending on the brand is a safe route when it comes to camping gear since there are a lot of producers that are focused on creating this type of products, most of the time in an affordable price range. Although it might seem fun and almost idyllic to be gathered around the campfire, you might find it rather hard to actually cook a meal for a large group of people using it. That being said, if you want to keep thing uncomplicated, always remember to bring along a portable grill, as this is a fast and tasty way of cooking any sort of meat or vegetable. Manufacturers these days are going out of their way creating new, more performant outside cooking gear. Keep an eye out for rechargeable items, solar powered or battery powered ones. If you are one of those who can’t bear a few days away from the technology-dominated world, you’re in luck! Big brands have already come up with camping gadgets to make your trip not only fun but also a lot safer. You can choose from a wide array of sizes and functions, anything from a weather radio to a pair of waterproof headphones. There’s a gadget out there from everything, from cooking to helping you sleep better, from summoning help in case of danger to playing your favorite music at night by the campfire. That is of course if you’re not old fashioned and you’d rather bring your guitar along. You should, however, take into consideration the fact that a gadget is a couple of times lighter and easier to carry, therefore you should replace as many heavy items as you can. Although not all of them are truly helpful, there are a lot of little gadgets designed to make your escape into nature more enjoyable and carefree. Once you’ve got things like safety and shelter covered, you’re free to think about whether you want to experience the outdoors in a more authentic way or bring along the comfort of your city life. If you’re not keen on sleeping on a rock and eating directly from the source, you’re free to bring along as many items as you want. Just remember to weigh your bags before you set off and make sure you can move them without too much discomfort. Keep an eye out for modular camping furniture, or compactable items that you can assemble wherever you choose to spend the night. There are a lot of cool camping gear items designed to be easily portable that you can find in almost any online store. Although the chaotic days before setting off on such a trip can be a bit of a pain, once you’re there you can relax and fully enjoy yourself. If you have been responsible and careful while preparing for your short vacation, there’s no reason why you should have to worry about anything going wrong. Follow our rules if you want to pick out the coolest gear for camping. Remember that you should always act according to your priorities when shopping for any kind of gear, especially camping gear. You now have all the information you need in order to make an informed choice. All you need to do is enjoy your weekend escape!